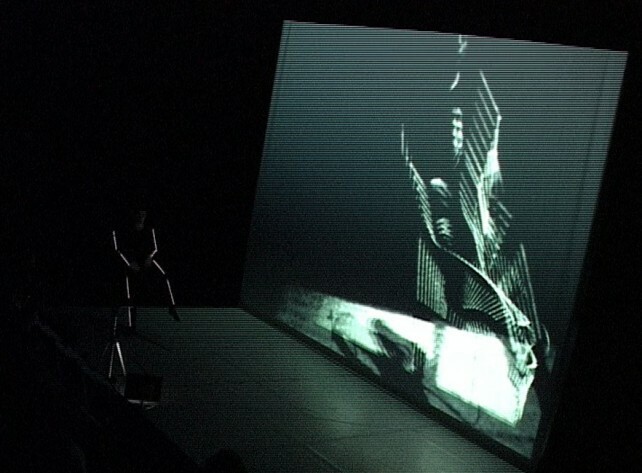 As the title already suggests the performance directly refers to the experimental cinema and dance of the 20th examining the notion of bodyspace according to the machine and its aesthetics. 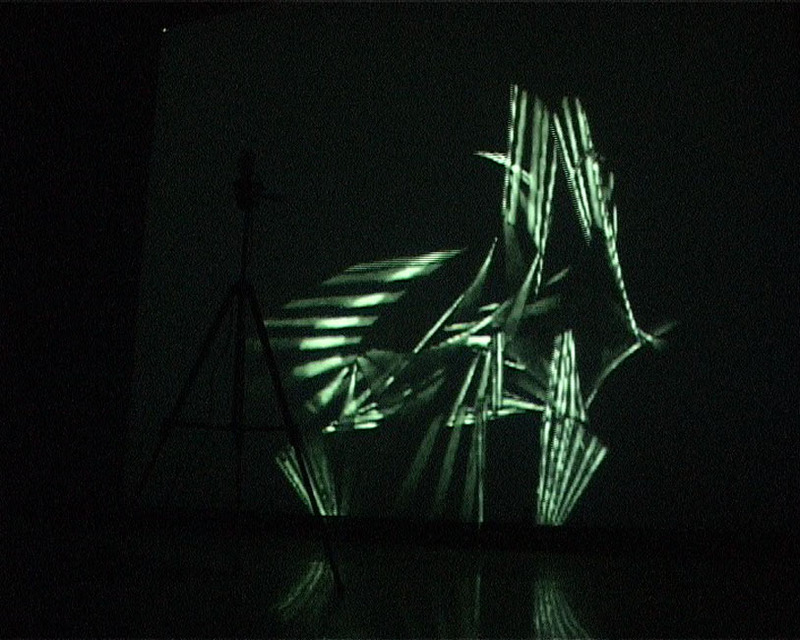 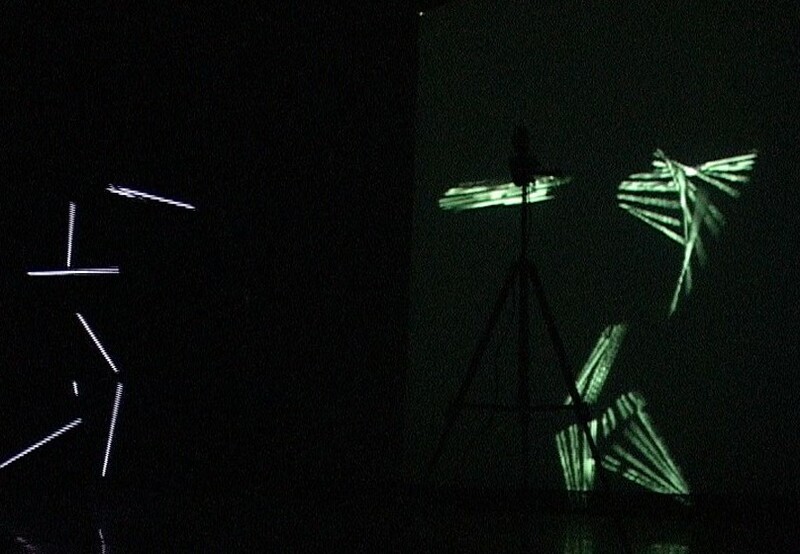 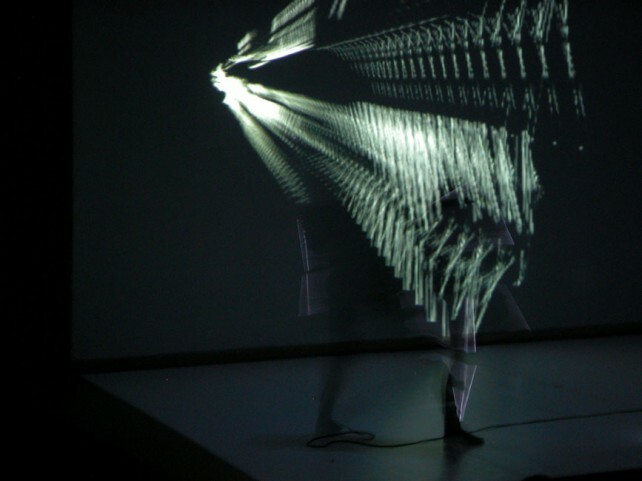 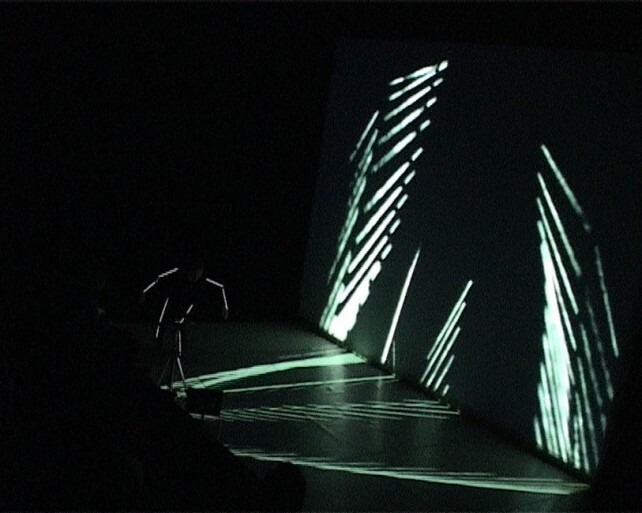 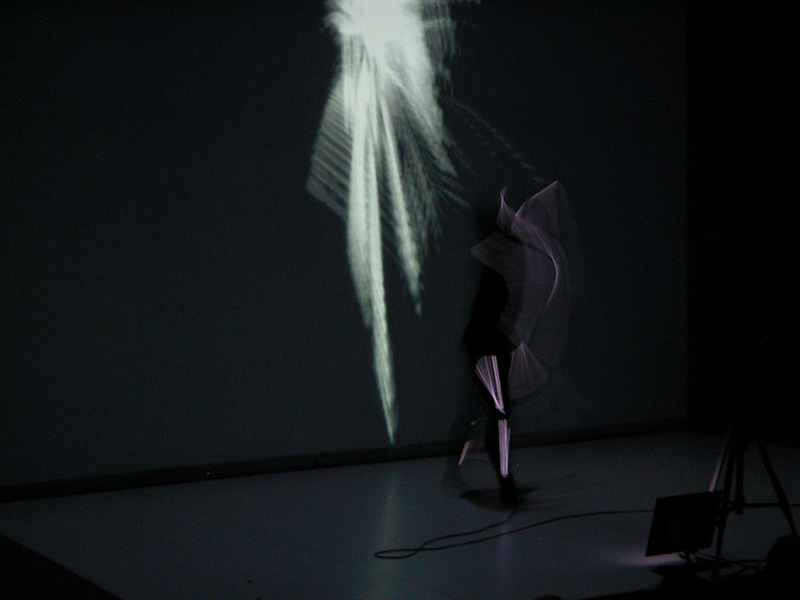 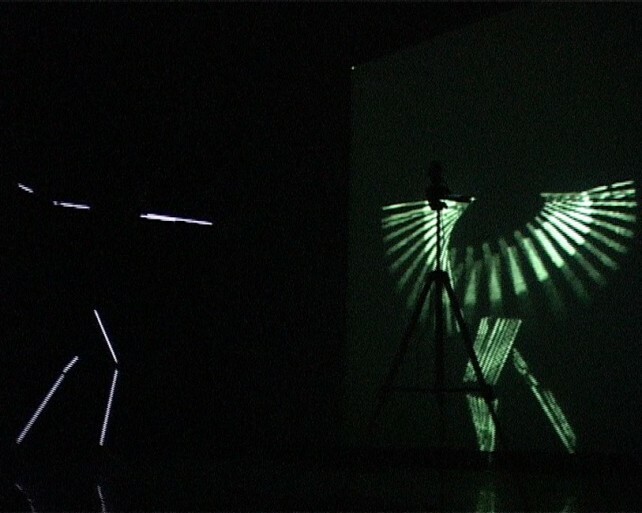 From E. J. Marey cinematic work to the experimental work of artist such as O. Schlemmer and O. Fischinger they followed a systematic and radical way proposing a perspective of the body on stage as an abstract and symbolic representation as opposed to the psychological and expressive approaches. According to their choreographic and cinematic work, man in e.space.mov pursuit these researches while confronting it to digital media, in between choreography, cinematography and scenography _ in between dance, music and architecture. The performance is based on the complete reduction of space and body, a complete black space where the dancer is reduced to lines constituted through a light costume outlining the body articulation. 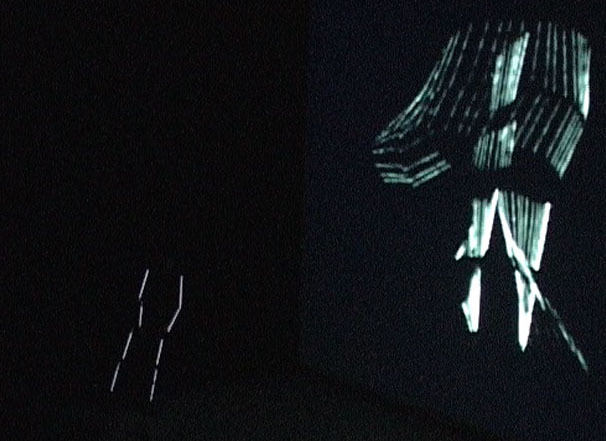 A camera films the invisible moving dancer on stage, the lines in time, while capturing only 2 frames per seconds. These captured images are placed inside a 3d space which is projected in the back of the stage. 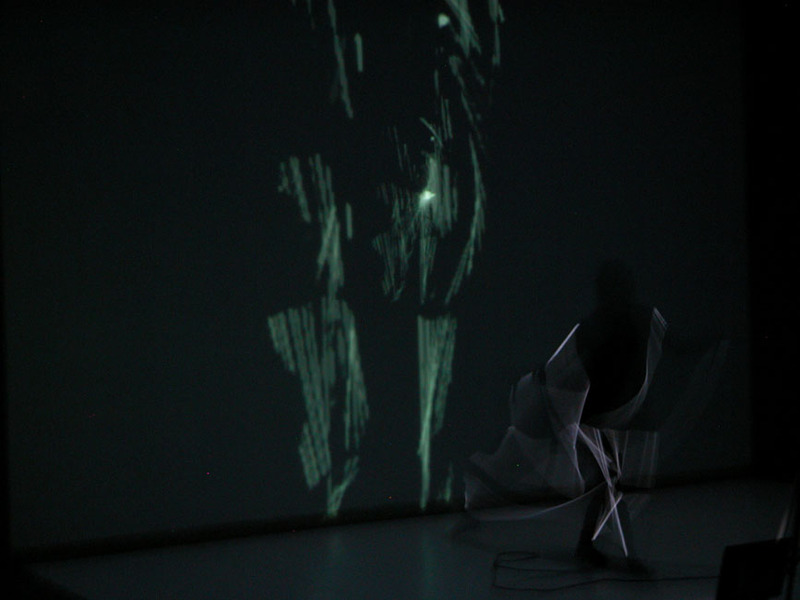 On one hand the cinematic construct is directly derived from the dancer’s movements but the temporal programming also constitutes an unpredictable parameter giving autonomy to the self residual image.